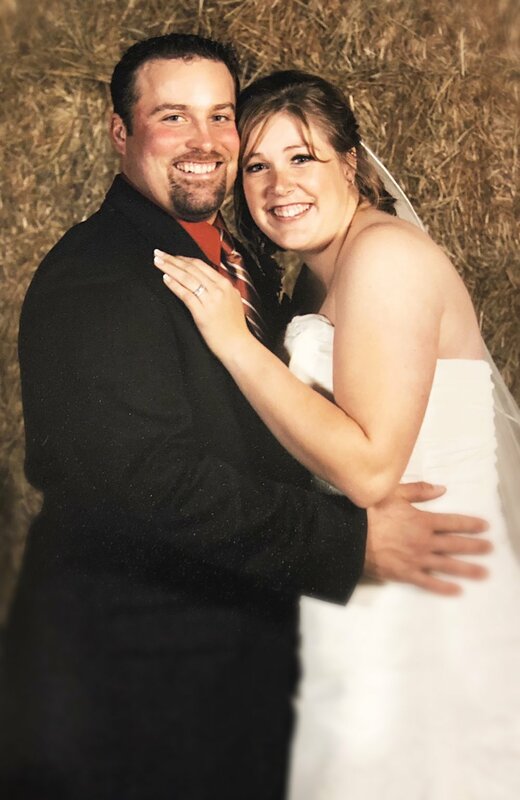 It’s been 11 years and almost 3 months since I officially became a “farmer’s wife”. To you that may mean just about nothing, but to me that means holy cow a lot has changed!! I remember being asked if I was ready to not only take on the role of a farmer’s wife, but to do it as a second wife. At the time I had no idea what was being asked of me. I was sure I had my eyes wide open and was prepared for the future as Mrs. Steve Bloomfield. Let’s just say that the last 11 years and 3 months has been an eye-opening, sometimes thrilling, sometimes scary, often times unexpected ride! Steve and I met on a blind date in March 2006. We were set up by my best friend, whom met Steve through her place of employment. Life was good. Steve had been previously married with 2 young children, at that time, 2 & 6 years old. For a lot of people that would be a red flag, for me having divorced parents at a young age, with a stepmom who was/is a very present part of my life for the bulk of it, it didn’t cause me any concern at all. Steve was working hard at building his farm, a dream of his since he was a young boy. I had no idea what that would/did entail. Having spent a large part of my childhood living in a rental farmhouse on a working farm, I assumed I had it figured out. That paired with having a grandfather who was heavily involved in agriculture most of his life, made me feel like I had a strong sense of what it took to be a farmer. Oh the naivete! I remember shortly after Steve and I met, I came out to the farm one day to visit after having finished my shift at the Grand Bend Fitness Centre (which was what I graduated from college in, Fitness & Health Promotion). I wish we had a phone with a camera right then….keep in mind this was 12 years ago. I arrived in my gym attire, cute black tights and matching top, cute pair of runners, not really what you would call “farming wear”, and hopped in the tractor to ride with Steve while he fixed fences in the pasture field. I climb in the tractor and begin talking, he makes a comment about me closing the door since I was sitting in the buddy seat, to which I crack a joke about enjoying the fresh air with it open, just as he is driving through a gate that the door happens to just graze and it shatters into a million pieces. The entire door was completely glass. Soooo not a great first impression as his Dad wanders over to check out the situation. One moment neither of us has ever forgotten, but one that has given us many, many laughs. As I mentioned Steve and I met in March 2006. We got engaged July 1, 2007, and were married October 27, 2007. I remember the day we got married he was out in the yard at the farm working on a tractor in the morning. At the time I didn’t understand, but now I do. What farmer gets married in the fall, of all seasons?!? All I wanted was a beautiful fall wedding with the pretty colours. Steve did what he had to to make it all work, and in the end it poured rain all day anyway, so he was off the hook! Rain is something I have come to appreciate exponentially! It didn’t take long for me to realize I was in over my head just a little. Taking on a man with two children, an ex-wife and a growing farm operation, was a lot! Is it something that I regret?? Absolutely not. Is it something that has challenged me to my core?? Absolutely! When I look back over the last short 11+ years, which at times have seemed like the longest of my life, I can’t believe how much I have learned. I know the women who have been married to farmers for years, who are reading this are probably thinking “dear, you have a lot to learn”. I know they are right. I am excited to see where we go from here. Where God leads us in this life together. Love the rain!!! Rain has become my very best friend. Rain makes our crops grow, without it there are no crops, there is no money to pay bills. Rain allows me time with my husband, at certain times of the year. Rain makes our farm beautiful. The flower beds, the green grass, the pastures that feed the animals we raise, the crops that grow big, strong and vibrant. Patience! This one I am still learning. There are days I’m sure Steve wonders if I am ever going to master this one. I have to be patient with him during the busy seasons, patiently await the growth of the crops to pay the bills, patiently wait for animals to grow to service the store needs, be patient with the irregular routines, and sudden change in schedules. Lack of Control. Farming is anything but controlled. We are at the mercy of the weather a lot. We can’t control how the crops grow, when the sun shines, when its time to harvest. We can’t control when the animals get pregnant, have their babies, lay their eggs. We can’t control when equipment breaks down or when rented land gets taken away. I can’t control when Steve has to “make hay when the sun shines”, even if it means going to events alone or simply missing them. Book keeping. I have no formal training, or background in book keeping/accounting. It’s a learn as you go approach around here. I have become very resourceful, and good at making phone calls to get answers to questions. I have developed a great relationship with our accountant whom we talk about our families and farm struggles with regularly. I have learned a lot and continue to learn a lot about farming through the lens of Quickbooks, and all things book keeping! House wife. One of the biggest lessons I learned at an excelerated rate was being the “mom” of the house. When you marry a man with children there really is no honeymoon phase. You step immediately into a role of “care giving”. So I learned on the fly how to manage a home, on a farm, with children, and a full time job. The kids were great, they warmed up to me right away and things ran smoothly when they would come to spend their time with us. It is a big change going from being single to being part of a family! I have loved the opportunity and blessing of making a house our home over the years. Get used to receiving directions by farm names. When asked to deliver something to a field, pick someone up from a field, etc directions are never given by using left and rights or road names typically. No, the directions are given by farm names. And usually those farm names are not the current owners names. So whenever we are out driving around, and Steve insists on giving me the rundown on the farm, who owned it, who operates it, what’s grown on it, etc I better be listening up! Don’t ever mix up hay and straw. One of the biggest pet peeves of a farmer is when people call hay, straw, or vice versa. Just don’t do it….enough said! Pray! Pray for rain, pray for the rain to stop, pray for the livestock, pray for the crops, pray for safety, pray for your family, pray for success, pray for lessons learned, pray for life! But in all honesty I have loved the highs and lows of being married to a farmer, whom lives and breaths this lifestyle. I would not and could not ever ask him to walk away from it, it’s in his blood, and that means it needs to be in mine too. I have so much to learn. What I have really grown to love about this life is the continuous view of God’s glorious creation. I am constantly in awe as I watch the crops poke out of the ground, as I watch a calf being born, as I watch the farmer tend to and care for their animals as if their own lives depend on it….because they do. I love the constant change, the change of seasons, the change of pace, the change of scenery. I love to watch the growth all around me, and within me, the growth of our children, the growth of our dreams. And of course I love the view. The view every morning the sun rises, and every night that it sets. I couldn’t ask for it to be any other way. I have never been a person who liked to set New Year’s Resolutions, or when I did set them, I wasn’t all that great at following through with them. 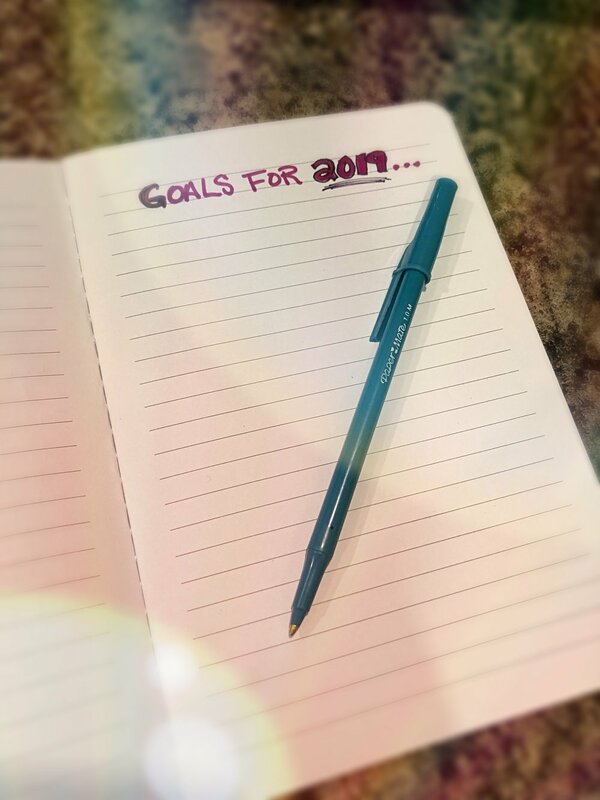 Over the last couple of years, I have become better at sitting down and doing some goal planning. As I have mentioned before, we have lot’s of dreams for our farm & business so goal planning has been kind of fun! This year was no exception. I have spent a lot of time reflecting on life in general over the last couple of months, and the goals we want to set for ourselves in 2019. As I mentioned last week, 2018 was a year of transition for us, in both a business and personal way, so looking forward to 2019 to get moving on some new goals! One of my goals was to get back into reading and spend more time doing it. Reading is fuel for the brain, you can learn so much from a book, newspaper, website, blog, etc. Last week I shared a book I just recently finished called “I Used to Be So Organized, Help for Reclaiming Order and Peace”, and I am just finishing another book by the same author called “Doing Busy Better, Enjoying God’s Gifts of Work and Rest”. They both touch on the idea of balance. I don’t know about you but I find that idea almost impossible. I find when I am strong in one area of life I am weak in another. You just can’t be on top of everything all the time. One of the take away’s from both books was the idea of “just because you are good at something, doesn’t mean you should always say yes to doing it”. No is a hard word for a lot of people. No is a very hard word for me. I like to take on projects, events, activities, etc because they give me a sense of fulfillment or something. What I have realized after reading these two books, is that always saying yes can often mean a sacrifice somewhere, and that sacrifice is often your family life. That leads into another of our goals for 2019…Family First! Why do we as a society believe that our schedule always has to be jam packed with “stuff”?! Why isn’t it okay to have dates on the calendar with absolutely nothing on them…blank….a white box?? Steve and I have had numerous conversations about our kids, schedules, and priorities. Within our goal for “Family First”, is getting back to good old family dinners around the kitchen table. That was always a big priority for us, but as we get “busier” it seems to be the first thing to slip. Sitting around the dinner table together is where we often learn the most about our kids lives. It seems to be the place where they divulge the most about their day, their friends, any trouble they had. It’s the place where they get our undivided attention, no devices, no tv, no interruptions. It’s a valuable time in our house, and one that we don’t want to sacrifice. It was one of the things we talked about when I quit my job to “stay at home”, as being important to us. You’ve heard me say many times that living on the farm has it’s highs and lows. One of the not so high, highs, would be the “schedule” or rather lack there of. There are no set times for the work day. Steve doesn’t go out and work your typical 9:00-5:00pm. One thing that was new to me when I met Steve was the idea of not working on a Sunday, having always worked in retail in one form or another it was something I simply just did not consider. The Bloomfield family as a whole has always honored Sunday as a day of rest. Another of our goals for 2019 is actually to get back to honoring that day as a day of rest. It’s so easy to get caught up in the status quo of shopping, yard work, house work, office work, etc, on a Sunday. I’m certainly not here to judge anyone else for how they spend their days, but for us taking a day to rest, spend time with our kids and just relax is super important! I used to think that because Steve worked some pretty crazy hours, Sundays were for us to “catch up”. We would get busy with house projects, yard work, errands, etc and my reason would always be that I only get his undivided attention on Sundays to get these things done. What I have learned is that not only do we need the physical break, but the mental break as well. When we actually rest on a Sunday, it sets the week up to be a much better, more productive one. So we are going to work on setting that day aside for rest, relaxation and family time! There are many advantages to being self-employed, with your business at your home. On the flip side there are also disadvantages to that. Living where you work can often mean there is no clear line between “work life” and “home life”, they often just blend together. Farming is very much a way of life, rather then a career, or job, making that line even blurrier. Another of the things that I took away from the two books mentioned above, was the idea of “Being versus Doing”. So the idea of “I am what I do”, “how I feel about myself is connected with how well I perform”. “When your identity is grounded in your accomplishments, it creates a never-ending cycle of pursuit”. Well hello, that was like walking into a brick wall. Not exactly how either of us want to be. Thus I bring you to yet another of our goals for this year. As I wrote about at the beginning of this post, “No” is a hard one for both myself and Steve. When asked to help out, volunteer, give of our time, tackle one more thing on the to-do list, we more often then not say “Yes”. We seem to have forgotten the essentials and the idea of “Being”, rather then “Doing”. We want to “be present” in this life we live. So our goal is to go back to the basics. To cut out all the things that fill our time, to cut out the “doing” that defines us, and focus more on the “being”. I will come full circle, back to the beginning of this post. Family First, cut out the extras, focus on our family, be diligent in making time for what’s important and if there is extra time left over, give of ourselves to things that WE feel are important. It’s okay to say No, especially when yes would be at the expense of your family. We are both excited to see what 2019 has in store for us. We will continue to work on putting our family first, attempt to cut out the road blocks, enjoy this life, because as we have learned far too many times already, this life is too darn short. Our kids are growing so fast, and we don’t get a do-over, so we want to be as present as possible, and learn from our mistakes. We have some pretty lofty goals, but in the end they will all be worth it, if it means having a peaceful family that is happy, healthy, and well- adjusted. With kids that grow up knowing what is and is not a priority and of the utmost importance to us as a family unit. As I said before I am certainly not here to judge others, and I don’t pretend to know or have all the answers. I’m simply sharing what I have learned at this stage in life, and where we are hoping to lead our family. It's the New Year already?! You guys, I’m not sure where the time has gone this year! I can’t believe it’s January already! I had the best of intentions in 2018. As I scroll through the blog I am reminded that there was so much I wanted to do, so many projects that I wanted to complete. However life happens, and I would have to say that 2018 was a year of transition for us. A year of transition in all aspects of our life, personal, family, business, friendships, church, kids, seasonally, etc. We never know what God has in store for us, and this year was no different. 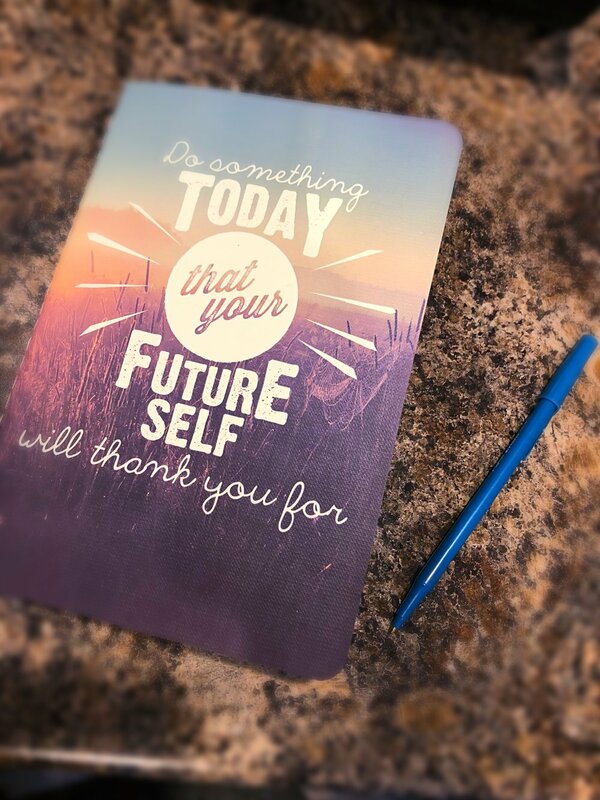 In January when I looked at the calendar I had goals set that I wanted to reach, again both personally and in our business. Some were reached, some were tabled, and some flat out failed. However as the story goes, we pick ourselves up and dust off and keep on moving. I read a book in December titled, “I Used to be so Organized”. It has been an eye-opener for me, a bit of a reality check of sorts. I have always tried to be organized and on top of things. I like a neat, organized home, I like calendars and To-Do lists, and staying on top of things. When Steve and I decided that I should quit my job to stay at home and help on the farm, over 8 years ago, it was because we planned to have children, and it was one of our major priorities that I stay home with them. That was important to us then, and is still important to us today. With that was the idea that I would keep the home organized and running smoothly, which has had it’s ups and downs as most things do. One of the “transitions” that happened this year was training others to work in the store, to help out when needed. We enlisted the help of Steve’s mother, Wendy, daughter, Hayley, and a family friend, Kylie. The two teenagers alternate working on Saturdays, and have done an amazing job. It gives them both a little spending money, and reinforces customer service and social skills. Wendy helps us out on some Thursdays and Fridays when I am running kids to appointments, activities, meetings, or volunteering at the school and/or church. It’s been great having these lovely ladies to help me out, so I can return my focus to the family, our home and the farm. One of my goals for 2019 in the business is our OFFICE! I want to get things back on track in bookkeeping, organization, social media and this…the blog. I’ve had so many ideas in my head and would like to have the time to follow through on them. So while you may not see me in the store as often, I am busy behind the scenes working this business of ours! And you will still be greeted by some lovely, smiling faces in the store! A win-win! We are excited to close the door on 2018, and run through the door of 2019! Possibilities are endless, and we are looking forward to God’s leading in our lives this year. Of course we can’t forget to shout out a big Thank You to all of our amazing customers, to all of you who have followed along as we navigate our life here on the farm! To all of you who support our business, and buy local, straight from the farm. To all of you who come back to visit us time and time again. We appreciate the support, the kind words, the reviews, the word of mouth recommendations, and all the love! We know we wouldn’t be here without all of you..
Sending out wishes for a happy, healthy, safe New Year! If you've been out to the farm in the last 6 months, chances are you have met our newest member of the family, Buddy. First night Buddy came to live with us! The kids were so excited to meet him! Buddy is an 8 year old retriever, lab cross that we "adopted" into our family the week of Christmas 2016. Buddy grew up on a farm not far from us with a family of 10 people. They were moving to BC for a job relocation, which meant living in a subdivision. Buddy had only lived on a farm, and they didn't want him to have to become a "leash" dog. We attended First Lobo Baptist Church with them, and happened to run into them at Lowe's a couple of days prior to their departure. When asking how the final preparations were going, it was mentioned how very sad they were to have to leave behind their beloved Buddy, and were desperately searching for a new forever home for him. Waiting and watching for Steve to return home! Nathan had been bugging for a dog for quite some time, and of course his ears perked up at the mention of a home for this dog. We parted ways saying we would let them know if we thought of anyone that would be willing to take him. The entire ride home, we had 4 children who very loudly made their feelings known about taking on this dog. Steve and I tossed it around for a couple of days, and decided that we would be willing to give it a try to see if we were the right fit for him, and vice versa. We can honestly say Buddy has adapted to his life here on the farm very well!! Steve was pretty adamant from the beginning that he would not be responsible for a pet as he did not have the time to invest, it would be the children's responsibility. It's truly funny how things work out, because this dog has latched onto Steve and will not leave his side for ANYTHING! Buddy is the best protector, and friend we could ask for. The previous family did an amazing job raising him to become an obedient and faithful pet. Buddy has even made a friend here on the farm.....we have an older kitten who just adores Buddy and follows him EVERYWHERE he goes. Often I can look out the window at any given time of day and see Buddy following Steve and this kitten following Buddy. They seem to have an understanding and Buddy has no issue with this kitten being his shadow and being in his personal space. It's a little bit like follow the leader!